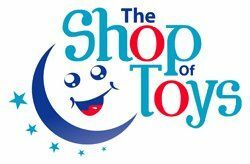 Colours and Contents may vary. 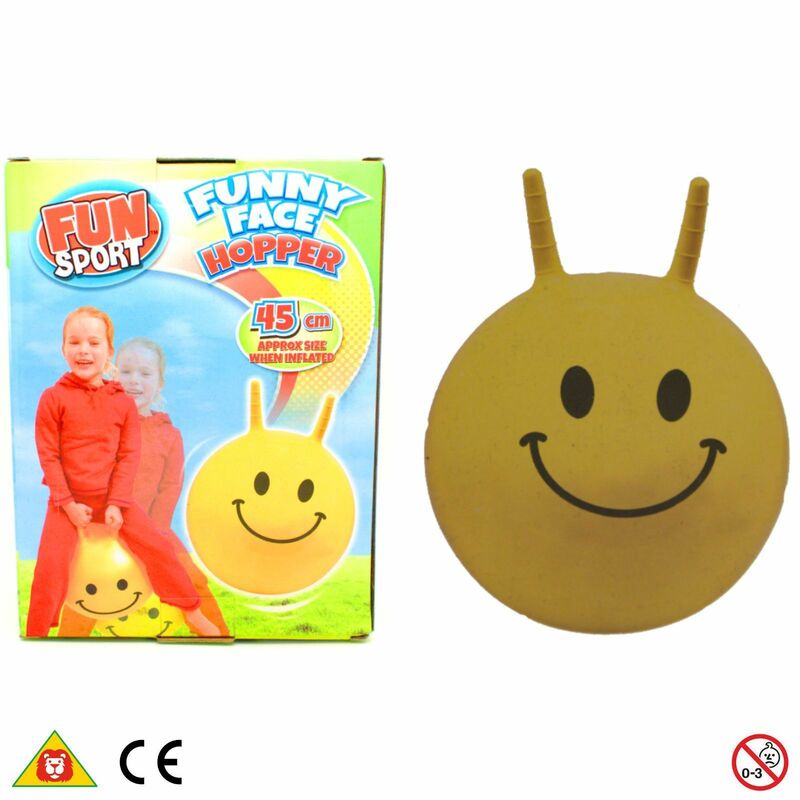 Children will love bouncing around all day on the Funny Face Hopper. 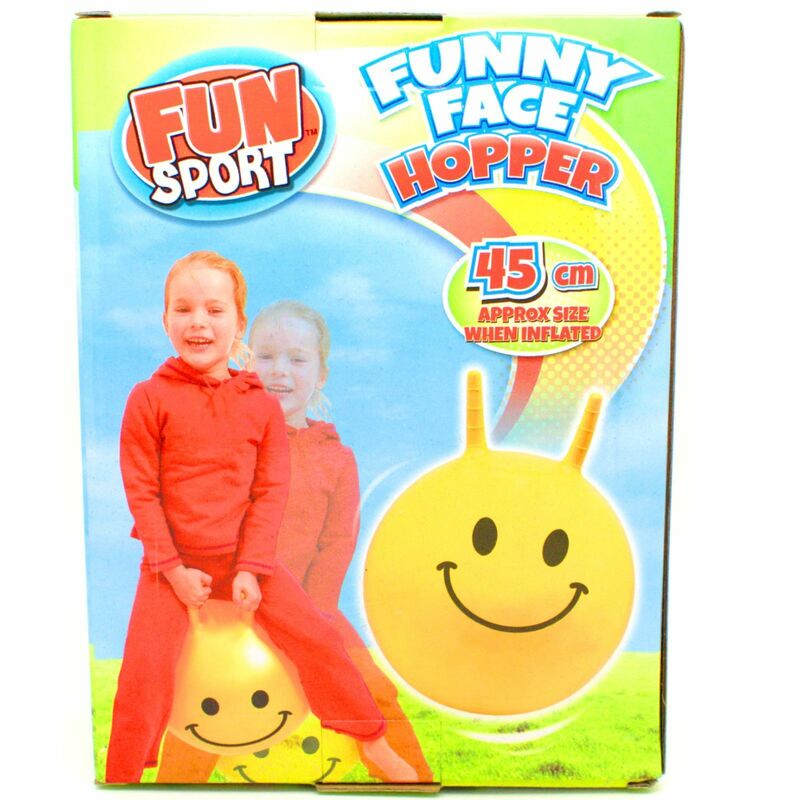 The colourful hopper also helps with balance and coordination. 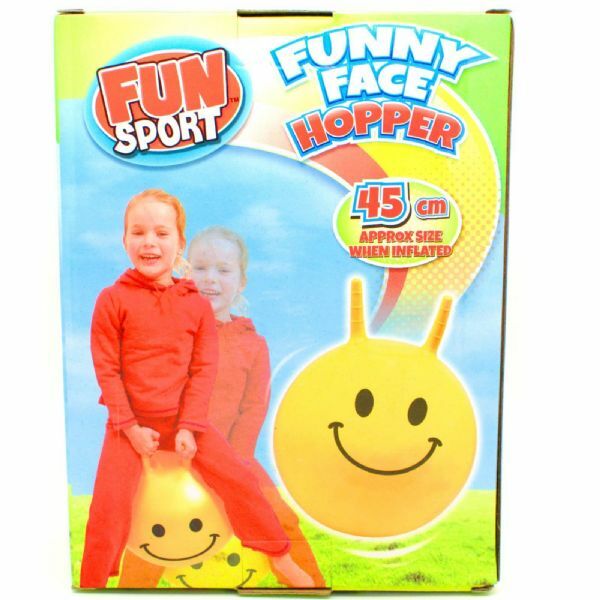 The hopper has a funny face and good grip handles. 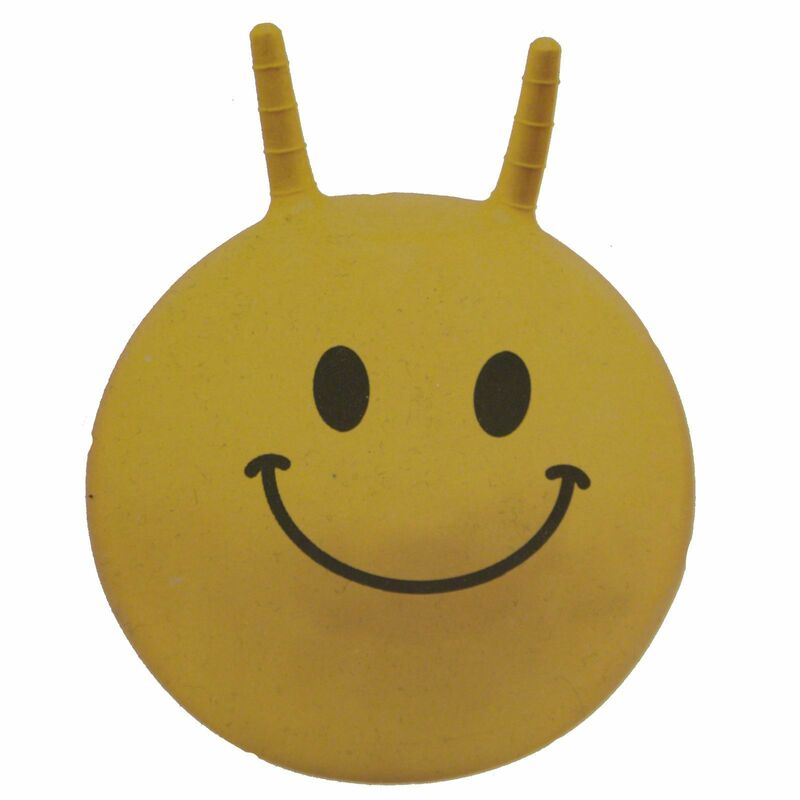 Inflate with hand or foot pump till firm, DO NOT over inflate or ball will be damaged. Suitable for children age 3+ Years. NOT suitable for children under 36 Months -- strangulation hazard due to long cord -- small parts. Parents should check for leaks and tears regularly.